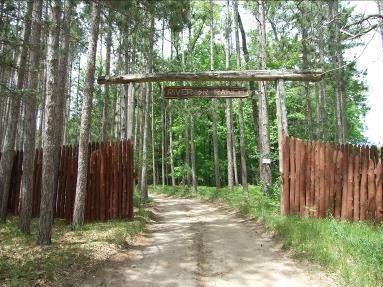 Cannon River Ranch has a very interesting and long history here along the Pere Marquette River. This 700 acre stretch of property on the Pere Marquette River was purchased by George W. Cannon in the mid 1950’s with the intention of developing it as a retreat for the Cannon family and friends. He named it “River Ranch.” The Cannon family still enjoys this beautiful retreat and has kept the name. At the age of just 24, George W. Cannon with his two partners started an iron foundry (in 1908) in Muskegon, Michigan called Campbell, Wyant, and Cannon. That foundry grew to be one of the largest independent foundries in the nation and employed over 7000 people at its peak. Eventually the company took the name “CWC”. Mr. Cannon loved his retreat so much, and the nature that surrounded it. He made improvements to the main lodge on the property and eventually built 4 guest houses for visitors. He wanted to share the awesome beauty he saw there with others. George also did much to improve the conservation and lands surrounding River Ranch as well. He made continuous efforts to improve the river by protecting the river banks from erosion with fallen trees, stumps and rocks. It is part of Mr. Cannon’s legacy that the family still holds true to the principals of conservation. George was an avid fisherman as well. He loved to show young people how to fish. His children, grand children, great grandchildren and many other visitors have been fortunate enough to share a rod and real with Mr. Cannon. He was active on those waters until about 90 years of age! 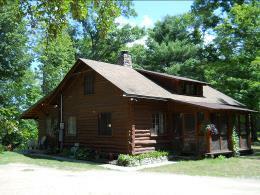 The main lodge was actually built in 1929 by the original owners, the Irwin Family. (Owners of a prominent furniture company in Grand Rapids). The Irwins had special logs brought in to build the lodge. They were a special white ash. 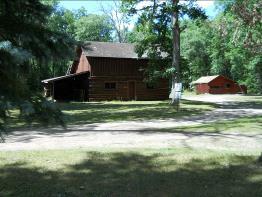 The main lodge, tackle house, caretaker’s home, and maintenance building are all built from this special grade of wood. When Mr. Cannon purchased the acres of land and lodge in the 1950’s he originally used it for corporate meetings, entertainment, family functions, and public relations. Upon George Sr’s death, his son; George W. II and his brother, William J Cannon took ownership. They built the 4 additional guest houses and started renting them out for all to enjoy in the 1980’s. The Cannon’s real estate consultant, Charles M. Hibbard worked with the Cannons and oversaw the building projects. Charles’ wife Eleanore took care of booking the reservations as well. After William J. Cannon passed away, George II took over sole ownership. Not long after that, George II passed away and the property is now owned and maintained by George Cannon III as well as his sister, Carolyn and brother Tim. The nearly 700 acres of property with the main lodge and tackle house and 4 guest houses needed a full-time caretaker so a Caretaker’s home and maintenance facilities were added inside the entrance. This is a monumental task to maintain such a large area and hold true to the Cannon’s standards but over the years they have been very fortunate to have found the best people for the job. Welcome to Cannon River Ranch!  Your stay begins when you stop at the Caretaker’s house to check in!